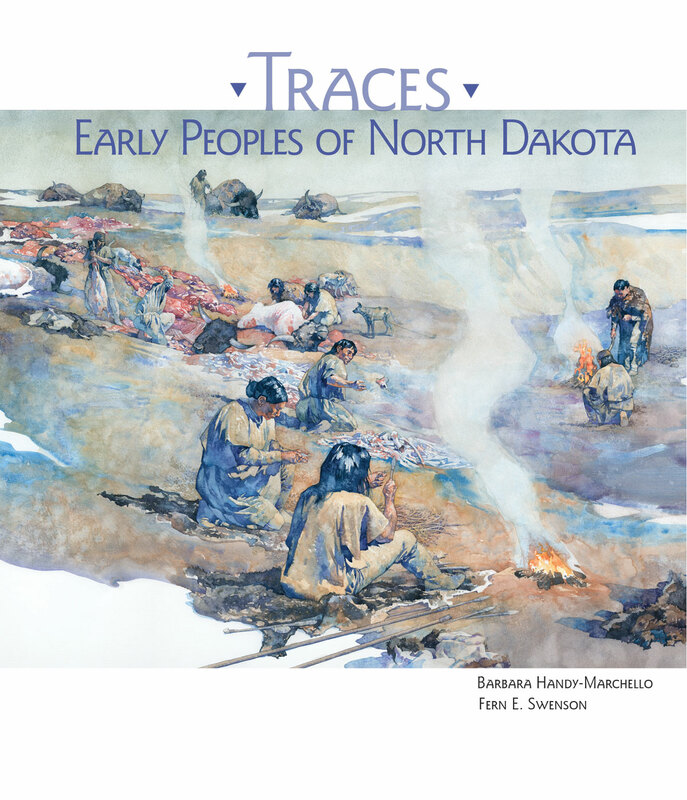 Published in 2018 by the State Historical Society of North Dakota, Traces: Early Peoples of North Dakota covers the archaeology of what is now North Dakota. The story begins with a group of people who stored stone tools near Beach 13,500 years ago and examines the archaeological record until 1880. The book, authored by Barbara Handy-Marchello and Fern E. Swenson, expands upon exhibits in the Innovation Gallery: Early Peoples at the North Dakota Heritage Center & State Museum, providing greater depth to discoveries explaining where people came from, their work, and innovations that propelled them into modern times. The 128-page book is beautifully illustrated with images of objects from State Historical Society collections and original paintings and maps. The project was made possible by generous funding by the PaleoCultural Research Group and the US Forest Service, Department of Agriculture.